Welcome to our Lynn Community Events bulletin board. See the latest listings on the left hand Tabs on this page. Yard Sales | Issued By The City Clerk's Office - SPRING 2019! As a courtesy to our Lynn neighbors who have applied for Yard Sale Permits, we are happy to list the following upcoming Yard Sales being held in Lynn. Yard Sales can begin at 7 AM and must end at 6 PM. Rain dates may be used if the sale dates are rained out. Yard Sales are permitted for 3 consecutive days and you are allowed to have 2 per year. The Cost is $10 and you must come in and fill out a brief application (free for citizens over age 65). You must also be the owner of the property or have permission from the owner. We will issue you the permit immediately. QuaranTEEN is for teens ages 12-18, and is open Tuesdays and Thursdays 2:30pm-6pm and Wednesdays 2:30pm-5pm. Featured technology includes Macs and Dells, Xbox 360 with Kinect, Makey Makeys, iPads, and more! The “Bookies” are the Lynn Public Library’s monthly book club. The “Bookies” meet on the last Wednesday of the month. Click here to view our full calendar and find out what book we are reading. If you would like to join us, please call 781-595-0567 to sign up in advance. On occasion, we have to cancel events due to unforeseen circumstances. Please call ahead to confirm events. Visit our webpage for more info and September Trails & Sails Tours! The Veterinary Association of the North Shore, a non-profit organization, is holding Rabies Vaccination Clinics for Dogs and Cats in Lynn on Wednesday, May 4th, 4-6 PM at the Fayette Street and Tower Hill Fire Stations. The vaccination clinic is open to the general public. The cost for the rabies vaccination is $10.0 per pet. The clinic proceeds go towards veterinary student scholarships. Please have dogs on leashes and cats in carriers. Bring proof of previous rabies certificate to qualify for three year rabies vaccine: otherwise a one year rabies vaccine will be given. 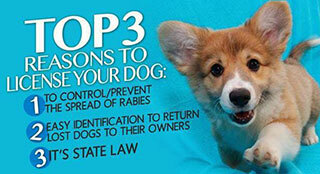 All dogs and cats are required by law to have a current rabies vaccination. Annual Dog Licenses Are Due on March 31, 2019. We are currently taking applications for new and renewed licenses. The fee for all dogs is $10. This is no charge for owners age 70+. Up to date rabies certificate needed. for a $25 per year for each of your dogs. Cats DO NOT have to be licensed they can do whatever they want…..meow! Frederick Douglass’ Speech At High Rock Tower | Our 7th Annual Event! Date: July 3rd Fireworks Night! Where: High Rock Tower Park, Circuit Ave. Welcome to our Lynn Community Arts, Entertainment, Sports and Recreational Event Listings.. Click on any listing on the left to see the specifics for each listing. Check back as we update this page when new listings become available. Our Downtown Art Scene Is Happening! When Ongoing events see below and check the Lynn Arts website. Executive Director | LynnArts, Inc.
Thursday: 12PM to 8PM; Saturday, 12PM to 4PM. We are closed every Sunday and Monday, and in observance of all national and state holidays. RAW groups are FREE of charge and offer youth a chance to express and explore themselves under the guidance of our Master's level Creative Art Therapists and professional artists. No prior art experience is necessary. For more information, please contact Beau Diehl at beau@rawart.org or 781-593-5515 ext. 208. 1. Identity To help youth develop a stronger sense of identity, including as an artist. 2. Belonging: To provide youth with a safe place where they feel a sense of acceptance and belonging. 3. Success: To use art to provide young people with a diverse range of opportunities for skill-building, success, and access to dreams for their future. 4. Community: To establish forums for positive collaborations between our youth and the greater community. Visit our Website for Event Details, Tickets and More! 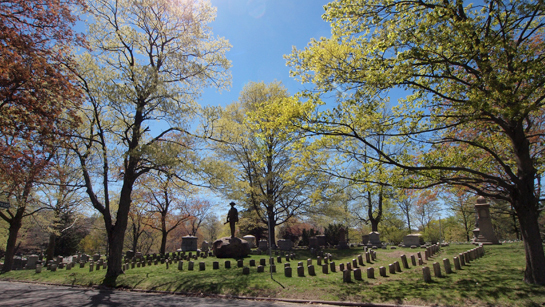 Visit the Lynn Park and Recreation main webpage for complete and up-to-date infomation. Also visit the Parks Events and Activities webpage for current programs, clinics and show events! All concerts are held at Red Rock Park, Lynn Shore Drive. Admission is FREE. All concerts at Red Rock Park Reservation, Lynn Shore Drive, 6 to 8 PM unless otherwise noted. Visit the High Rock webpage for complete and up-to-date infomation. Welcome to our Lynn Sports and Recreation bulletin board. See the latest listings below.